Many types of stars shine in the sky. Some glow red, others are yellow. Some wax and wane from bright to dim in a few hours, while others remain unchanged across the span of a human lifetime. Physics professor Rick Watkins pays attention to one particular type of star — the pulsating variable — to glean answers about the inner workings of these mysterious celestial bodies. “You see most stars as points in the sky. But if they’re variable, you can connect the oscillations with what’s happening inside them,” he says. Watkins is among eight professors and 14 students who spent their summer conducting research through Willamette University’s Science Collaborative Research Program (SCRP). The program helps professors make strides in their work and students acquire new skills to help them pursue careers in science. 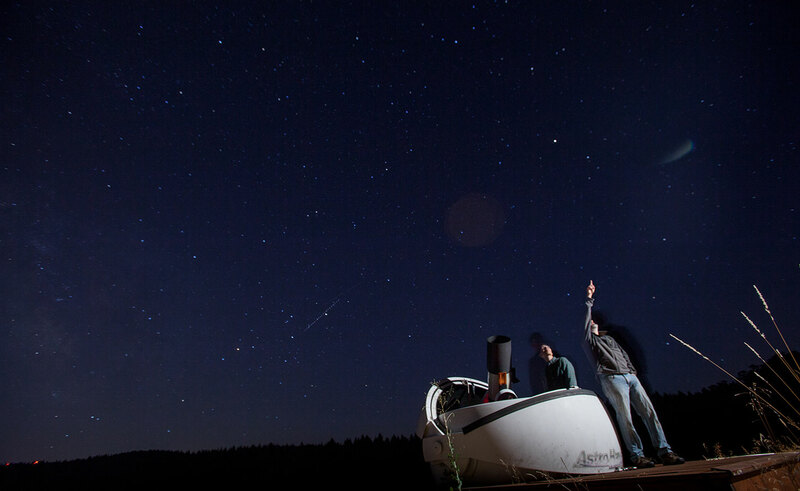 As part of his project, Barajas spent clear evenings at a small observatory in Zena Forest. Throughout the night, he took a series of images of a star that pulsates in three independent frequencies at once. The star changes brightness due to an imbalance between gravity and pressure. With the images he captured, Barajas hopes to better understand the star’s internal structure and how it functions. Hana Busse thought the same thing when she applied to work with assistant professor Katja Meyer, who studies the geologic record of global climate change. For their project, Busse ’16 and Meyer aimed to learn more about the impact of climate warming on the oceans by studying rocks from China. The Chinese rocks — deposited during the end-Permian mass extinction 252 million years ago, when more than 90 percent of marine species suddenly died — harbor important clues about the effects of such warming. By examining the size distribution of pyrite mineral grains found within the rocks, Meyer and Busse could tell whether ocean conditions during that time were oxic, anoxic or sulfidic. The size of the pyrite grains correlates with the amount of hydrogen sulfide — and corresponding loss of oxygen —in the water. Through such experiments, Meyer and Busse hope to better grasp the connection between the loss of oxygen in the oceans and mass extinction. 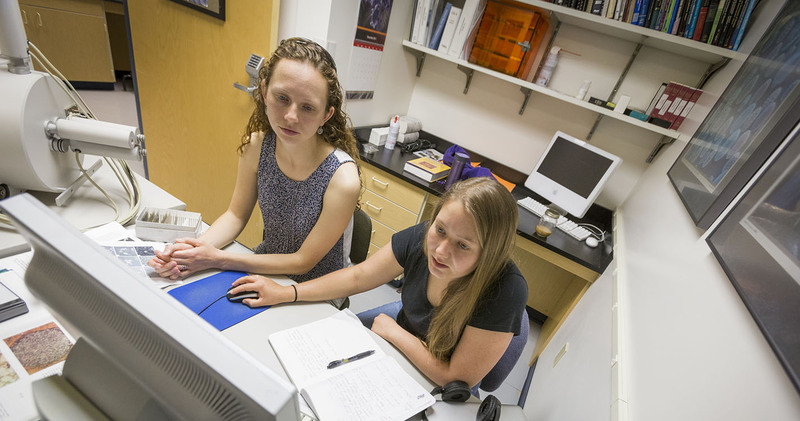 In the lab, Busse examined samples using scanning electron microscopy (SEM), an experience that will benefit her future graduate studies in oceanography. For Watkins, SCRP enables students to discover advanced research techniques — skills that can’t be learned from a textbook. Students participating in SCRP receive a stipend and an allowance for food and housing. In the fall, they’ll give oral presentations about their work to the campus community. They will also present posters at the annual Murdock Undergraduate Research Conference in Vancouver, Washington. More information about the research program can be found online on the SCRP landing page.